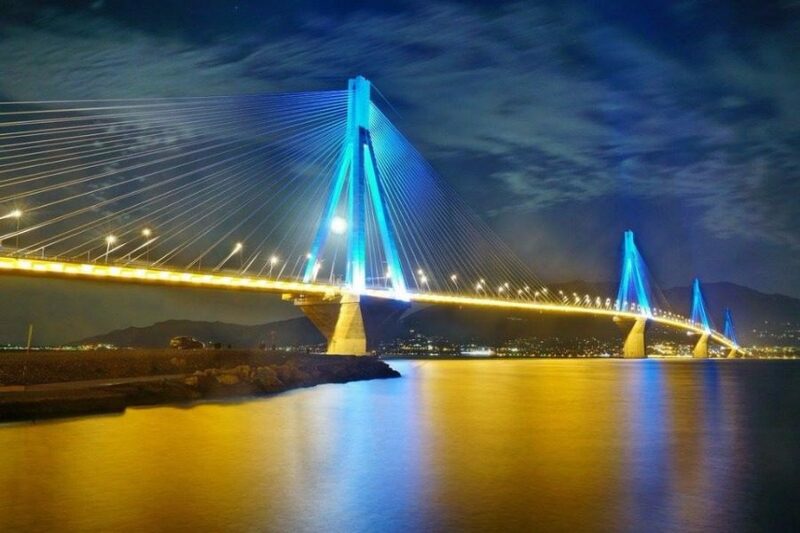 Since its opening in August 2004, the Rio-Antirrio bridge has changed the economic landscape of western Greece, says a new study published on the 13th anniversary of its opening. 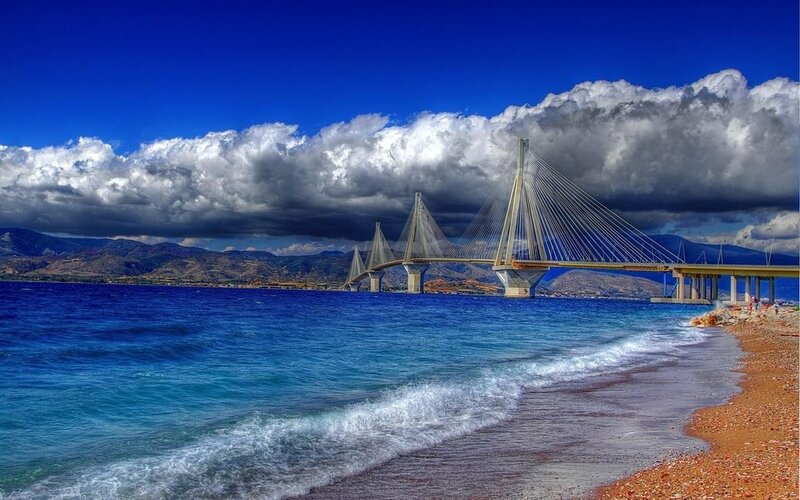 The bridge was inaugurated on 7 August 2004, a week before the opening of the 2004 Summer Olympics in Athens. Olympic torchbearers were the first to officially cross it. One of them was Otto Rehhagel, the German football coach who won the Euro 2004 Championships for Greece. 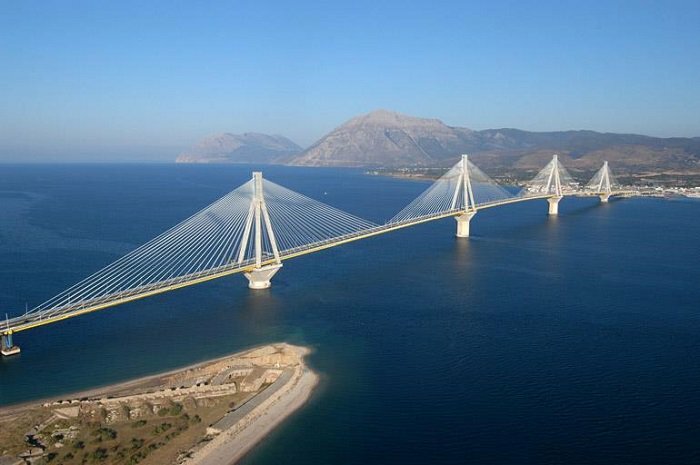 A study by the Observatory of Road Networks in Western Greece and Peloponnese (POADEP) says that the bridge has had a significant impact on a number of areas of economic and social life. 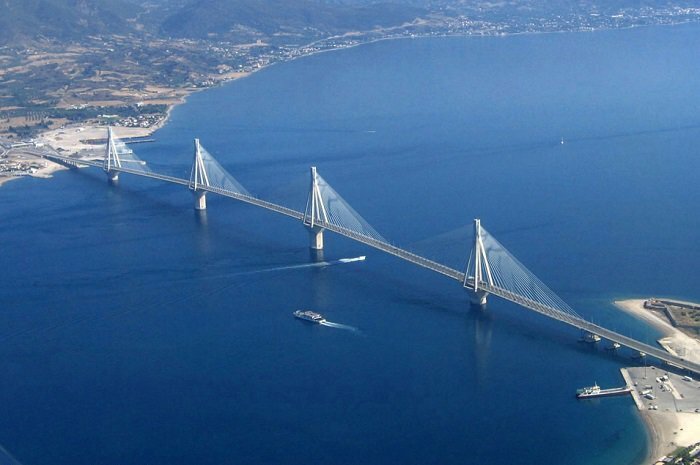 Since its first year of operation, the bridge recorded 1.2 million additional transits between the town of Rio in Peloponnese and Antirrio in the north of the Gulf of Patras. The 2,880-metre-long bridge dramatically improves access to and from the Peloponnese, which could previously be reached only by ferry. The Observatory says that this resulted in an overall economic benefit for the drivers estimated at around 400 million euros to date, with an additional benefit of more than one billion in the period 2017-2032. It also led to the stimulation of the tourist flows, mainly to the north, but also to a more frequent communication of the inhabitants of the surrounding areas enriching the social, economic and cultural relations of the two sides. The operation of the bridge over the past 13 years has also led to significant land use changes. The Observatory notes that the bridge had a catalytic effect in the property market of the northern region which led to a significant rise in land prices, giving added value and investment impetus to an area that was largely undeveloped. 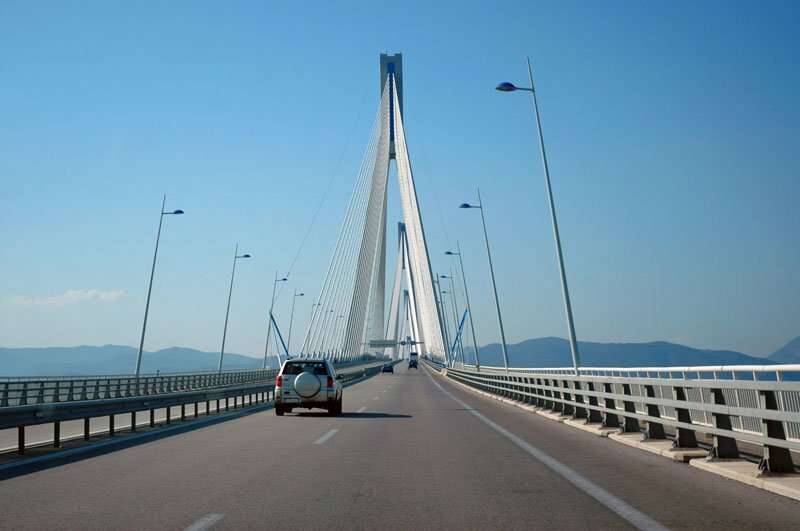 The bridge is a connecting link of the two major motorways of the country, Ionian and Olympia Odos. Already with the completion of the construction of these two axes, the Rio-Antirio will play an even more important role in the connection between Epirus and Aitoloakarnania, which for many years has been buffered and largely excluded from the rest of the country. The distance between Ioannina and Athens is now covered in three and a half hours, a time that is in line with European standards for such distances. The Rio-Antirrio bridge is not just a beautiful bridge. It is widely considered to be an engineering masterpiece, owing to several solutions applied to span the difficult site. These difficulties include deep water, insecure materials for foundations, seismic activity, the probability of tsunamis, and the expansion of the Gulf of Corinth due to plate tectonics.